Bet Zion Williamson 2020 Rookie of Year - Risk Free! 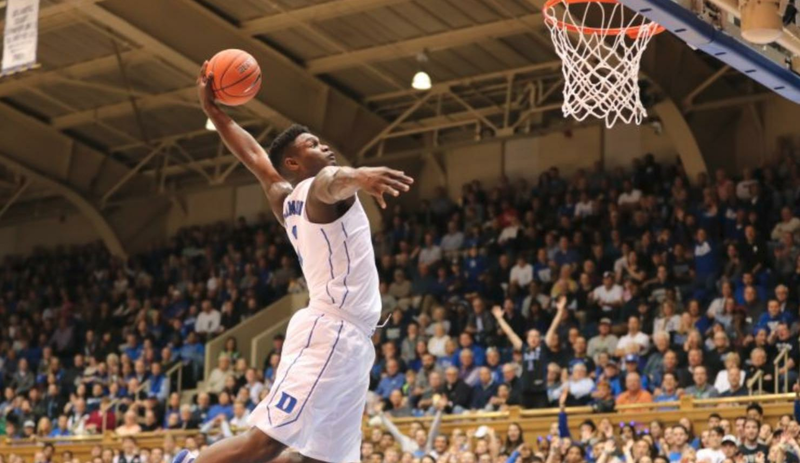 MyBookie.ag just announced they would allow players to place a risk free bet on Zion Williamson to be the 2020 NBA Rookie of the Year. Place a bet, guaranteed not to lose! MyBookie.ag is continually pushing the proverbial promotion and betting options envelope. Already rated one of OnlineWagerReviews top online US sportsbooks, MyBookie continues to impress our clients. They just announced huge news for their NBA Rookie of the year futures wagers. Bet Zion Williamson at 3 to 1 at no risk! To sweeten the NBA Rookie futures wagers, MyBookie is offering risk free 3 to 1 odds on Zion Williamson for the 2020 NBA Rookie of the Year. Now you can bet on Zion Williamson to be the 2020 NBA Rookie of the Year at 3/1 odds. If Zion does not take home the title, we'll refund all of the bets. Are you kidding me? Just absolute awesome stuff from MyBookie.ag. Notice - this promotion runs from Thursday, February 14th and runs until Monday, February 17th. If you have any questions or feedback, please be sure to leave a comment below. We hope all your wagers are profitable ones!